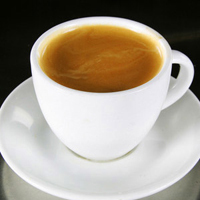 AMERICANO - Espresso diluted with hot water. 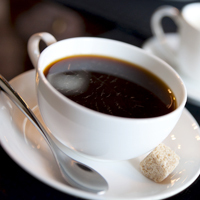 BLACK COFFEE - Coffee without added milk. 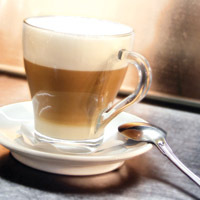 CAFE LATTE - A shot of espresso with hot milk and, sometimes, a small amount of milk foam. CAPPUCCINO - A shot of espresso with a combination of hot milk and steamed milk. 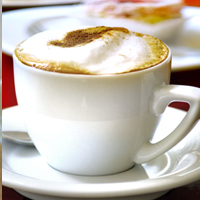 Cappuccino has a larger amount of milk foam than a cafe latte. 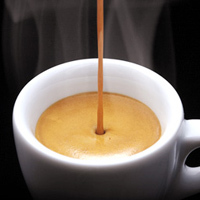 ESPRESSO - Hot water is forced through finely ground coffee to produce a thick, strong drink.